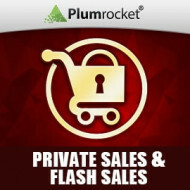 Magento Private Sales Package combines 6 extensions for your Private Sales & Flash Sales store. Create superb private store by applying various tools included in this package. Get unique combination of Magento data feed and affiliate program extensions for profitable management of your Magento advertising campaigns. Extend your magento loyalty program by using extensions from this unique package, aiming to invite more new customers and reward the existing ones. Allow your customers to improve your store by using this social network integration: let them inspire each other, socially share your products, or add favorite ones. Improve your magento performance by optimizing key points presented in our Magento Speed Optimization plan. This will increase your sales, conversion rates and SEO ranking. 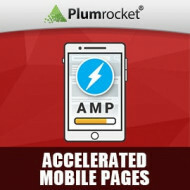 Get the top ranks in mobile Google Search Results, impress your clients with page load speed by extending your store functionality with Magento 2 AMP plugin. Convert your store to magento private sale portal. Create private events, promote Flash Sales, Daily Deals, and show your customers the offer duration with countdown counter for your website. Magento 2 Newsletter Popup, that will help you to collect visitor emails and offer a discount to turn your subscribers into loyal customers. 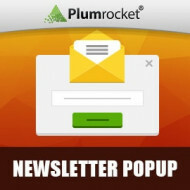 Includes 20 magento newsletter templates to create unique design! Let your customers choose from 50 social networks for quick access to your store. Login process can’t be more comfortable than this! Magento 2 product filter is designed to save time for your customers on manually searching for desired product. Just choose product attributes and you will get results that exactly match your request! Attract clients to your Magento website before launching it with the help of Coming Soon page. Also, utilize Maintenance status to let you customers know of maintenance works on your site. Easily generate Data Feeds for products and categories to participate in popular affiliate programs, share your rss feed with readers and store data in one place to access it quickly once need to share feed. Create affiliate campaigns, export Magento 2 product feeds, increase your Magento 2 store revenue on various advertising platforms. Affiliate Programs Extension integrates the most popular affiliate programs into your Magento 2 store. 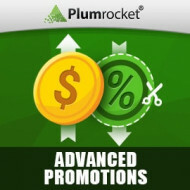 This comprehensive tool is a great way to significantly boost your sales and conversion rates! Create unique magento 2 checkout success page, generate special coupon codes, display marketing messages and full order details, let guests register store account and more! Show convenient Size Charts on your store, that are compatible with any product type and can be customized to meet your store design! With Twitter & Facebook Login Extension number of registered visitors on your store will increase in the blink of an eye! It is invaluable extension that is absolutely free.